Knitting is a fantastic use of time, in my humble opinion. Really, I think it’s fantastic. It stimulates the mind, increases dexterity, and creates something meaningful simultaneously. I suspect however that much can be said about English literature; it certainly stimulates the mind, if you find the right piece, and makes you dexterous insofar as your vocabulary increases, your capacity for accommodating other ideas grows, and you begin to perceive the world in innumerable different ways. Therefore, the question can be asked: why do children not want to read anymore? I find this dilemma difficult to empathise with because I have never struggled with not wanting to read. I’d read under the duvet with torches, with glow in the dark things, mobile phone lights… anything that would allow me to see the words on the page and translate them into something fantastic in my mind. Harry Potter and company would transport me to alternate universes. Therefore, I think it is almost unfathomable that children wouldn’t want to be a part of this world; at least not through their own imaginations. Certainly through obvious, glaring media, but not of their own accord, or because they want to experience the novels in the purest form, without the director’s interpretation affecting how one perceives the characters, and the settings. The castles, dragons, wizards and people who emerge from the realms of my imagination are always exponentially more interesting and more exciting than those put on a screen. The capacity to create an image that everyone is involved with is certainly an advantage of cinema, however it is not fundamental. It treats the integrity of the character and the setting as it was prescribed by the author as superfluous, something that can, and should be, altered at any given moment. This essentially defies the authority of the author as the creator of the literature, and in this way, we can consider that television, film and video gaming has murdered the literary beauty of the literature they seek to portray. 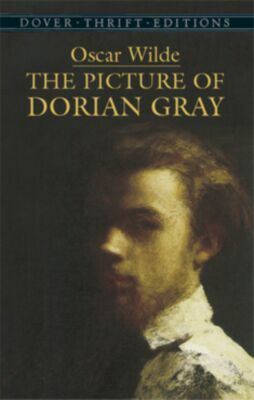 A good example here is the novel The Picture of Dorian Gray, by Oscar Wilde. The perception of the artist of the young man exploits the reality of the young man himself, although it was never intended to be so; all that was intended was for the young man, Gray, to be Basil’s muse, the influence that allowed him to create his art, instead of the exploited and caged creature that he inevitably becomes. I have always been a Wilde fan, and enjoy curling up in armchairs, reading the plethora of work he left us. Nothing is more wonderful than reading, with a pot of tea, on a cold, wet evening; this is not a rare occurrence in this part of the world. It becomes as enchanting as exploring antique book shops, and wandering over hills, having picnics. This simple pursuit then replaces all of these things, because it removes itself from reality; it takes us away, beyond the limits of our minds as they were, unexplored and untouched, and instead, creates something infinitely more beautiful than we truly acknowledge it as. And so, upon this final quote which I think rather nicely summarises my final paragraph, in that beauty is destroyed as an entity the second intellectual understanding is applied to it, I recommend that everyone dives into Wilde for a while. He’s great fun. 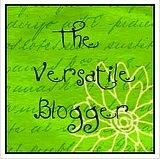 I’m planning on writing a fairly lengthy blog on Oscar Wilde very soon, too!